​In 1911, The Lyric Theater was opened at 119 South Main Street in Fitzgerald, Georgia. It operated at a loss and was closed before it was a year old. It was sold and reopened by Mr. Butterfield, who also owned and operated Butterfield Buick located across the street. 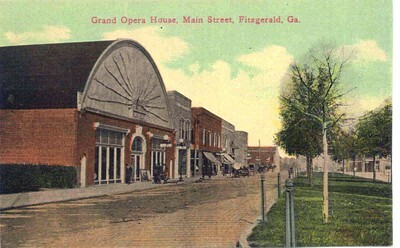 In naming the facility, a suggestion was Butterfield’s Grand Theatre, but instead it was decided to use The Grand Opera House. The venue operated from that time on. In 1927 Al Jolson starred in the first full-length synchronized sound motion picture, “The Jazz Singer”, the facility was renovated and the first theatre organ was removed. The Grand Opera House was renamed The Grand Theatre at this time. The Grand Theatre received a face lift in the mid 1940’s to enclose the Roof Garden. The façade displays granitoid blocks manufactured in Fitzgerald along with divided casement out windows. This space has since been used for office space, dance studio space, storage, and currently as the Grand Conference Center which has been renamed honoring the historic name, The Garden Room at the Grand Theatre. Later photos show the Glass Block windows installed replacing the old casement windows but leaving a single casement with a steel insert in each of the four window bays on the front and two on the south end. 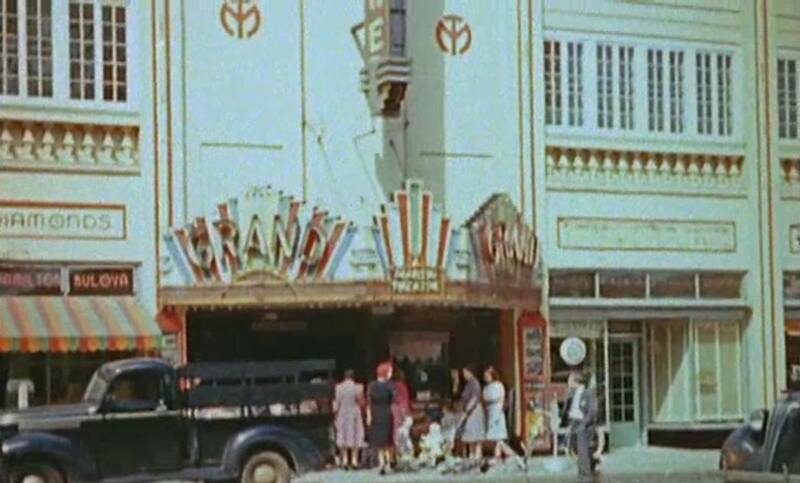 The Grand Theatre continued to operate as a movie house and public venue for plays, prom walks, concerts and other events until closing June 14 th , 1978. The last film shown was “The Bad News Bears Go to Japan” starring Tony Curtis. 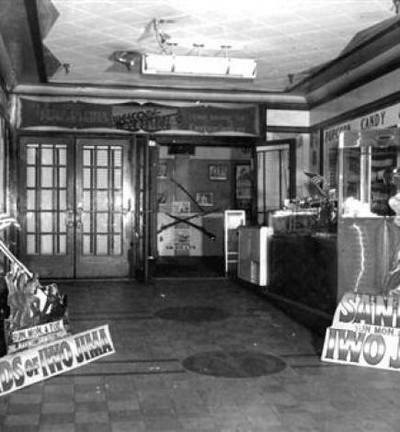 The next night, the Capri Twin operated by Carmike Theaters opened and operated until closing the spring of 2005. 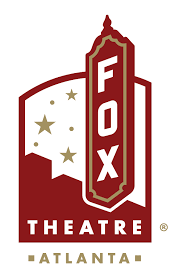 The Grand Theatre sat vacant and was purchased by the City of Fitzgerald and Ben Hill County Commission with a joint services agreement as an economic investment ensuring the venue a life for the future. It was in need of renovations and updates to the mechanical systems and seating as well as more space back stage. In 1986 The Grand Renovation Committee was formed with the purpose of raising necessary funds to renovate and expand the facility, restore the marquee, replace seating, build new larger dressing rooms, provide an adequate loading ramp, enlarge the stage, rewire, new hvac, plus updated stage lighting, rigging, and audio system. Corporations, large donors and individuals were asked to join together in restoring this historic landmark of the community. Seats were sold for $250.00 each with the list of donors framed and mounted, and the placards still hang in the lobby. With the renovations, a theatre board was appointed with representatives from the Fitzgerald-Ben Hill Arts Council, City of Fitzgerald, Ben Hill County Commissioners and community leaders at large. The facility was used to stage local productions by the Community Players, Fitzgerald High School, the Arts Council and others, as well as traveling shows brought in by varying promoters. In 1996, a 35mm movie projector complete with the accompanying 5.1 audio system and platter system and makeup tables were installed for the celebration of Fitzgerald’s City Centennial celebration. “Gone With the Wind”, “The Wizard of Oz” and Disney’s newest release, “Mulan” were screened as part of film festival. 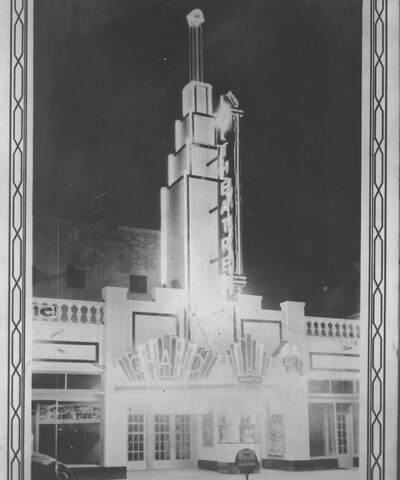 The 1998 SPLOST found the theatre listed as part of the recipients of funds to renovate the balance of the building into usable office space, a community room, board room, additional lobby area, and the Grand Conference Center and Ballroom, which the Roof Garden was renamed at that time. The renovations of the space included updating the facility with new HVAC and current technological equipment allowing for businesses to have meetings with internet access, projectors and screens and flexibility to divide into 4 spaces. The area included a catering kitchen, updated restrooms, an elevator and laundry area for table linens. The facility reopened in December 2003, ready to move forward into the next chapter of its history. Six stained glass windows created by a local artisan depicting various aspects of the building façade were also installed in the Garden Room casement windows. The facility became a great place for parties, regional business meetings, weddings, special events of many types and even as a substitute court room while the county court house was being renovated. The flexible space is still in use today for many flexible events including dinners, dinner/dessert theatre, training and community workshops sponsored by private, business and government entities. Movies in the auditorium officially resumed in February 2004 with Disney’s “Finding Nemo”. At that time, the Capri Twin was still operating and it was decided to operate the venue but not in competition with an active business, but as a supplement. Film festivals ran one weekend monthly at that time. 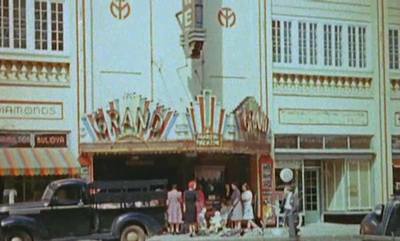 Spring 2005, Carmike closed the Capri Twin and the Grand Theatre became the prime movie venue for Fitzgerald once again. The Barton Organ was installed in the winter of 2011 and began service with the inaugural concert played by R. Jelanie Eddington, a world renown Theatre Organist. There is more information about this on Big Bart’s page. In 2012, with the termination of Eastman Kodak’s production of 35mm film and the procession into the digital world, the movie industry announced it would be phasing out 35mm movies and as quickly as the industry could move, be changing everything over to digital projection. At that time projectors were expensive and beyond the capacity of the theatre to justify the transition. Initially, the digital image was not any better than 35mm and though audio was clearer, it was decided to wait until the industry was able to produce a better product at a more affordable cost. December 2013, Sony and Paramount announced they would no longer be producing movies on 35mm film beginning immediately. Through the first 7 months of 2015, other movie studios fell in line behind this announcement, reducing the titles available to be screened at the Grand until in July, no more films were being made in that format. Small independent theaters around the world were closing due to their inability to make the change. ​October 2014 The Grand Balcony Club was formed by leaders in the community with the purpose to find a way to preserve the Grand Theatre operation. In the spring of 2015, when the industry announced the date for the end of 35mm film in the industry, the Balcony Club had their timeline set for them. In coordination with the City Council and County Commissioners, funds were found through economic development to purchase and install an NEC projector, a Beringer digital audio system capable of producing both 7.1 theatre surround sound as well as support live 4.1 surround sound for staged events, and an updated LED Stage lighting system. The cost for these projects was $150,000.00. All three systems have brought the auditorium back to life and are allowing for current digital 1 st run films, touring concerts, locally stages events, digital image projections for backdrops and so much more. The concert stage is returning to life with locally and regionally produced concerts and productions. Comments on the current status include the sound and images are the difference between noon and mid-night. The Grand moves forward into the 21st century with new tools and capacity to grow and achieve Disney-esque productions and Imagineering at a local level. In the summer of 2016, Music on Main Street was initiated reusing a fully functioning former movie audio amplifier, a gifted ipod, and speakers mounted on the front and rear of the theatre to provide atmosphere for a new focus in the downtown economic development.